Sticking Time, Linear Time, Rhythm and Meter is built around Gary Chaffee’s innovative teaching concepts, and is the perfect way to reinforce the techniques taught in the Patterns books. Jonathan Mover, a former student of Gary’s, makes a special appearance to demonstrate the techniques explained on the DVD in a fabulous solo performance. The innovative drumming techniques of Gary Chaffee are explained in this video, which is sure to be valuable to any jazz drummer. To help illustrate the points covered in the program, Jonathan Mover, a former student of Gary’s, gives a fabulous solo performance. 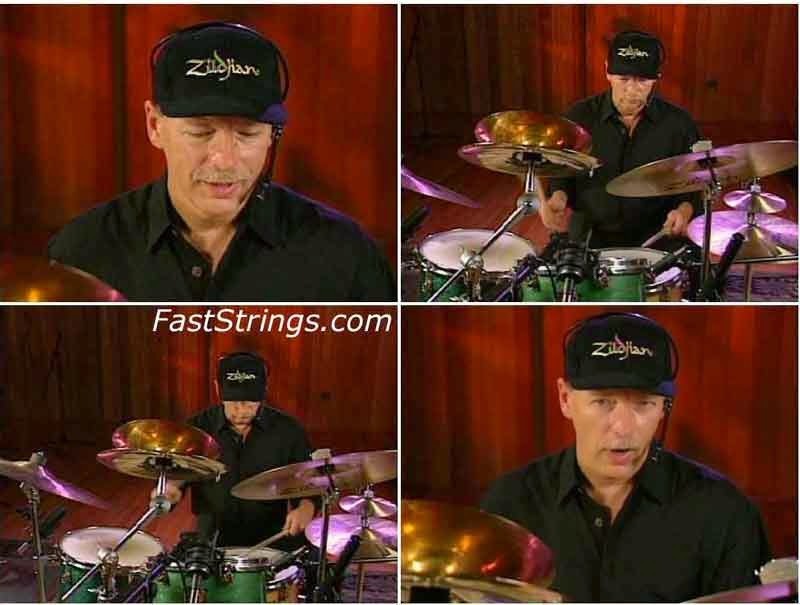 More can be learned about Gary Chaffee’s methods in the popular “Patterns” series as well as the Phrasing And Motion video. do you have “linear time playing” (book+CD) by Gary Chaffee? Does anyone have the link to: Gary Chaffee-odd stickings ?? Isn’t there a way to compress the video files? I mean, we have a 3.8GB file for a 1-hour, standard-definition video! Administrator, I keep getting “Connection limit !” error when I try to download Gary Chaffee – Sticking Time, Linear Time, Rhythm And Meter. This has gone on for about 2 weeks. Other videos download fine. Please investigate. Thanks!